Dr. Wanda Eppes, a psychologist, parent and former teacher, has designed evaluations which not only describe a child's learning style and mood/behavior but also offer extensive strategies and recommendations for future intervention. Wanda Eppes received her Doctorate in Psychology, with School and Community Specializations, from Florida Institute of Technology in 1987 after having been a secondary education teacher for years. She established her independent private practice in 1993 after working in public school system, and later in a pediatric medical office as a School Psychologist. Dr. Eppes is a former board member of a residential facility for the developmentally delayed, a Head Start consultant and has worked as an evaluator in nursing homes. She is currently a dual practitioner, also working as a School Psychologist in a Colorado school system. 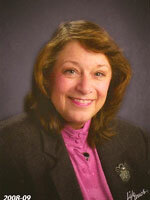 She is licensed as both a Psychologist and a School Psychologist in both Florida and Colorado. Dr. Eppes has experience as a classroom teacher, public School Psychologist, public speaker and a Psychologist in private practice. She is an experienced diagnostician of adult and childhood emotional, educational, and behavioral problems with specialties in Autism, Asperger's Disorder, Developmental Delay, AD/HD Coaching, Specific Learning Disabilities (dyslexia), Gifted, Behavioral Disorders, and Mood Disorders such as Depression and Anxiety. Her diagnostic reports are focused on intervention strategies for school, home and community. Dr. Eppes is also experienced in play therapy, individual therapy, group counseling, marital therapy and family systems counseling. She also has experience in equine assisted therapy through her association with Equine Partners in Florissant, Colorado. Dr. Eppes also has expertise in cognitive therapy for depression and anxiety along with stress management, relaxation training and organizational skills. Parent training and all therapy is done from a Christian worldview.